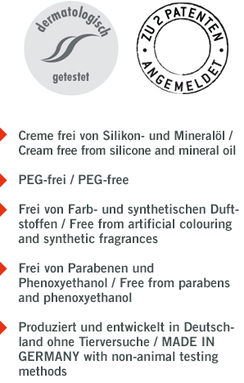 Cleanser - DERMAGICO – DIE SYSTEMPFLEGE! Mild but deep cleansing on the basis of saccharoidal surfactants. Suitable for impure, oily and combination skin. Any changes in colour occur from natural causes and do not influence the effect. How to apply: Distribute gently mornings and evenings over damp face, neck, decolleté and, if neccesary, back. Rinse thoroughly with tepid water and pat dry, avoiding eye area. Revitalise with Tonicum toning lotion and apply a day cream suited to your skin problem.